Articles in press have been peer-reviewed and accepted, which are not yet assigned to volumes /issues, but are citable by Digital Object Identifier (DOI). The all-inorganic halide perovskite is a promising photoelectric material because of its strong stability and good optical properties. However, it is still a key problem to effectively design the band gap to meet the practical application requirements. 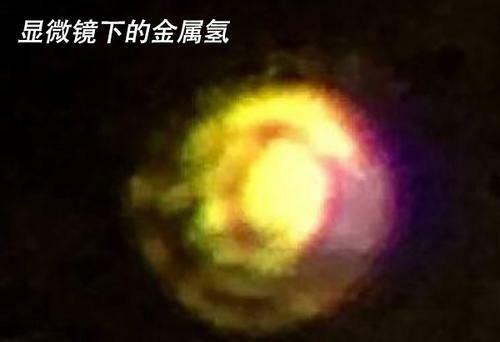 By controlling the reaction time and temperature, the morphology of cesium-lead-iodine (CsPbI3) nano-material could be controlled, and the rod-like CsPbI3 nano-material with uniform morphology and good crystallinity was synthesized. The band gap changes of CsPbI3 nanorods under high pressure were further studied by using diamond pair anvil and in situ high pressure ultraviolet-visible absorption spectroscopy. It is found that the band gap of CsPbI3 nanorods decreases under high pressure, and the tunable band gap lays the foundation for the application of nano-materials in the field of photovoltaic cells. The results can not only help to establish the structural properties of CsPbI3 nanorods on the atomic scale. It also provides an important clue for the practical application of all-inorganic perovskite nano-materials. A new metallic metastable silicon allotrope hP12-Si has been theoretically proposed using the particle swarm optimization method. The hP12-Si structure can be seen as a combination of a tunnel-type structure formed from six-membered sp3 silicon rings, which is similar to the previously reported Si24 structure. Its stability was verified by calculating its elastic constants and phonon spectrum. The analysis of structural heritability and thermodynamic stability shows that hP12-Si might be obtained by removing Li atoms from the pre-synthetic LiSi12 precursor, which is analogous with the recent preparation of Si24. There are 50% five coordinated silicon atoms, whereas the others are four coordinated in the hP12-Si structure. Electronic band structure calculation indicated that this structure could perform the metallic properties, which might be resulted from the delocalization of valence electrons caused by the existence of five coordinated atoms. The transformation-assisted consolidation under pressure has been demonstrated to be a promising method to fabricate the nano or submicron polycrystalline ceramic materials. The high pressure suppresses the long-range diffusion of the atoms and, consequently, restrains the grain coarsening. The new phases produced at high pressure could show finer grains under the appropriate thermodynamic conditions, which are not subject to the grain size of the raw materials. Ceramic materials exhibit the existence of the transformations under certain thermodynamic conditions and the formation of new phases generally undergoes the nucleation and growth. In the present work, monoclinic microcrystal ZrO2 with average grain size of 2 µm and Y2O3 with average grain size of 50 nm were mixed in molar ratio of 97∶3. The preparation of the samples was carried out by sintering at 5.5 GPa and temperatures of 800–1700 °C using the high pressure cubic cell, and the sample characterization was performed via the X-ray diffraction, scanning electron microscope and transmission electron microscopy. It was found that the monoclinic and submicron tetragonal composite polycrystalline ZrO2 in bulk is obtained under high pressure and high temperature. The average grain size of tetragonal ZrO2 fabricated at 1200, 1400, 1600 and 1700 °C is (145±62) nm, (246±165) nm, (183±62) nm and (245±107) nm, respectively. The synthesis of the fine-grained polycrystalline materials by the transformation under high pressure can solve the problems of agglomeration, adsorption and grain coarsening caused by the nanopowders as the starting materials in the conventional approach, which would be an alternative route to fabricate the fine-grained polycrystalline materials with the enhanced performances. With the rapid development of static high-pressure technology, the complex and variable compression processes are used in high-pressure scientific research. However, the effect of compression processes on the pressure-generation efficiency and pressure-seal capability has rarely been studied. Measuring the pressure of a gasket and cell in situ is the key point to understanding the mechanism of pressure-generation and pressure-seal. In the present work, we put a circuit into the cell or gasket of the large volume cubic press, and then the pressure in the compression or re-compression process are independently measured by in situ electric resistance measurements of bismuth, thallium, barium and manganin. It has been found that when compression process was replaced by re-compression process, the pressure-generation efficiency of cell and gasket was lowered; furthermore, the press load at the worst pressure-seal capability was also lowered. The method detailed in this paper is helpful to optimize the high-pressure assembly and compression process for the large volume cubic press. Reverse impact experiments were performed at a shock pressure range from 30 GPa to 73 GPa to investigate the dynamic response of magnesium aluminum alloy. A displacement interferometer system for any reflector was employed to measure the impact velocity and sample/window interface particle velocities. 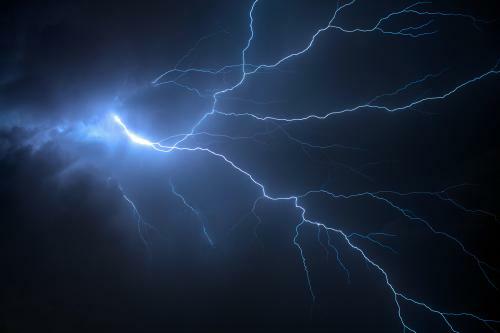 The Hugoniot data obtained in this study had a good agreement with the data published before, however, the sound velocities extracted from our experiments showed a transition from longitudinal to bulk sound velocity. This discontinuity is attributed to melting transition under shock compression, and the transition pressure range is estimated from 40 GPa to 57 GPa. The elastic constants parameters, bulk modulus, shear modulus and mechanical properties of the LaB6 crystalline material have been systematically studied with density functional theory and the Birch-Murnaghan formation. The results show that the LaB6 has larger C11, indicating its larger elastic constant along this direction. The LaB6 also has large bulk modulus, and the bulk modulus is isotropic, whereas the shear modulus is moderately anisotropic. The LaB6 crystalline material has large Young’s modulus of 227.85 GPa, so it is hard for elastic deformation. The Poisson’s ratio is 0.26 and the B/G value is 1.44, these values indicate the moderate brittleness of this material. The hardness of LaB6 is 11.56 GPa and the mean elastic velocity is 4.87 km/s. The LaB6 has narrow band gap of 0.20 eV, showing that it is metallic type material. The electrons of LaB6 have strong localization interaction, and there is covalent bond between La and B. The Richtmyer-Meshkov instability (RMI) under extreme shock conditions has important academic and engineering significance in the field of inertial confinement fusion (ICF). Present macroscopic hydrodynamic methods are difficult to be directly applied to RMI in extreme conditions due to the lack of proper models and parameters in such states, while the microscopic results obtained by molecular dynamics (MD) are also difficult to be applied directly in macroscopic scale simulation due to computational cost. To understand the connection between macroscopic and microscopic RMI, the RMI evolution on copper-helium interface at different micro scales under different piston shock conditions (6–15 km/s) was simulated by the molecular dynamics method based on embedded-atom potential (EAM) models. Firstly, the RMI evolution obtained by MD was compared with available literature macroscopic results under similar conditions. Phenomenological similarity results between macroscopic and microscopic RMI is confirmed. The evolution histories of initial sinusoidal disturbance (amplitude/wave length ratio 0.20–0.05) at different incident shock wave speeds (11.7–20.6 km/s) and different scales (7.3–145.0 nm) from RMI simulations were further compared and analyzed. It is found that all amplitude evolution curves behave with self-similarity under same shock and boundary conditions, all main parameters vary in accordance with prediction of theoretical model. Although there exists some extent of discrepancy, similar amplitude evolution characteristics results are obtained by microscopic and macroscopic simulations. In order to measure the detonation pressure of large mass explosive more convenient in the field work, a modified aquarium test has been designed by using a self-developed continuous pressure-conducted velocity probe (CPVP). The method can continuously record the trajectories of detonation and shock wave fronts in a single test. In addition, a simplified aquarium test method based on the novel velocity probe was designed to further simplify the experimental setup and operation process. By using the two type of devices, detonation pressure measurements for the different ammonium-nitrate/fuel-oil (ANFO) ratio explosives were performed and the time history curves of detonation-shock wave fronts were measured. The detonation velocity of each shot was then obtained by fitting the detonation wave data, and the initial shock velocity was determined based on the shock wave data of the medium adjacent to the explosive. Based on the shock Hugoniot curves of water and Plexiglas, we calculated the CJ pressures and adiabatic exponents of each test based on impedance matching principle. The experimental results show that the CPVP-based aquarium test can measure the detonation velocity and detonation pressure accurately and efficiently. The CPVP-based aquarium test method will be a significant supplement technique for explosive performance estimation. As the continuous improvement of the strength of concrete structure, more and more protective fortifications have chosen concrete as the main building material. On the basis of the smooth particle hydrodynamics method, the TCK-HJC composite constitutive model is proposed to simulate the deformation damage of the concrete target during the penetration process of the rigid conical projectile, and the pseudo-fluid model is used to describe the failed concrete fragments. The deformation process of the conical projectile penetrating into the concrete target under different penetration angles (0°, 60°) were analyzed, and the pressure on the surface of the target was also obtained. The scattering angles of the broken concrete fragments were obtained, and the comparison with experiment shows the simulation result is robust and accurate, which lays a technical foundation for further simulation of the mechanical properties of brittle materials. The appropriate material state equations and strength models were chosen. Through the numerical simulation results, the fragmentation behavior of the projectile material is analyzed. The fragmentation of the projectile mainly consists of spallation caused by release waves and fragmentation of the material under high pressure. Due to the influence of the spallation and the fragmentation method of the projectile under the influence of high pressure, It also causes the shape and size of the fragments produced by the material in two cases. This paper analyzes the propagation and attenuation of pressure pulses in a projectile during the impact of a spherical projectile on a target plate. It was found that the pulse width of the pressure pulse in the projectile remained substantially unchanged when the size of the projectile and the target were the same, and the peak pressure increased as the impact velocity increased. At the same impact velocity, the peak pressure of the pressure pulse propagating in the projectile is substantially constant, and the pulse width of the pressure pulse increases as the thickness of the target increases. The pressure pulse propagated in the projectile is related to the spallation of the back surface of the projectile. The peak value and rate of change of the pressure pulse directly affect the thickness of the back surface layer. The width of the pressure pulse directly affects the depth of the lamination of the back surface along the radial direction of the projectile. The affected area of the fracture-cracking method and the thickness of the spar are obtained, which have important reference value for the distribution of fragments in the debris cloud in the later stage. The dynamic response of the equivalent areal density polyurea-coated steel plate and a single steel plate under air blast loads is simulated by using the finite element software LS-DYNA after the validity of this method is demonstrated. The influence of polyurea coating position on its antiknock ability is analyzed; Besides, the method of dimension analysis is employed to study the response of the distance between explosive and steel plate, spherical charge’s quality, and the polyurea layer thickness on the deformation of steel plates based on the prior study. The results show that the position of polyurea coated on steel plate affects its antiknock performance. When other variables are assumed to be constant, the maximum displacement of the center of the steel plate exponentially decreased with the increase of the distance between the distance between explosive and steel plate; Moreover, when the quality of the explosive is changed, the maximum displacement of the steel plate increases linearly with the increase of the explosive mass; Also, when the thickness of the coated polyurea is changed, the maximum displacement of the steel sheet decreases linearly with the increase of the thickness of the coating. The dynamic mechanical behavior of carbonate rock subjected to dynamic impact in in-situ formation is one of the basic understandings for the large-scale development of carbonate reservoirs. In this paper, the dynamic mechanics of carbonate rock under true triaxial confining pressures was experimental investigated by 3D Hopkinson pressure bar system. During the experiment, the carbonate rock specimens were under the true triaxial confining pressures and loaded dynamically in one incident bar. 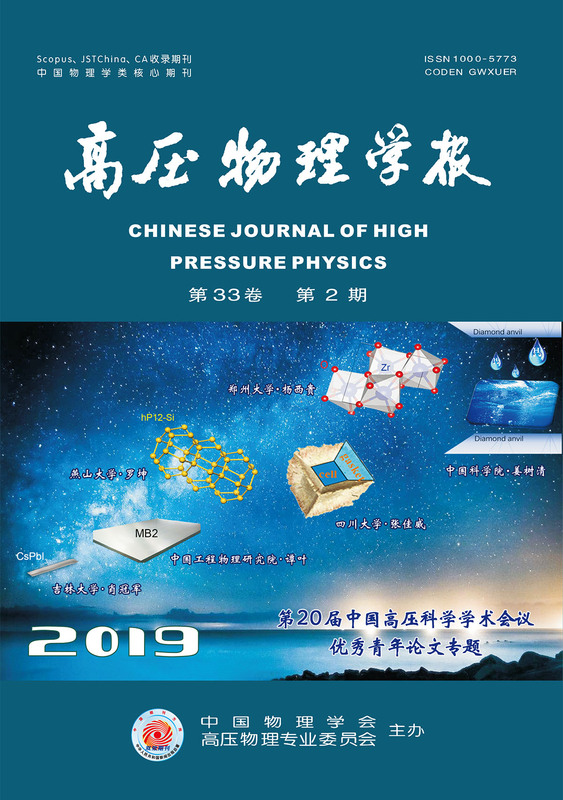 The dynamic strain rate and dynamic compressive strength of carbonate rock under true triaxial confining pressures were obtained to characterize the differences in the three vertical directions. The results demonstrate that only microcracks appear in true triaxial confining carbonate rock subjected to the dynamic loading. The quasi-static and dynamic compression tests of expanded polystyrene (EPS) foam material were carried out through a universal material tester and a drop-weight impact machine. The density and loading rate effects of the dynamic compression characteristics for the polystyrene foam material were discussed. By considering the density correlation, the empirical formula of dynamic constitutive relation under constant strain rate was modified based on the drop-weight test data. The constitutive model of EPS foam was established based on the material finite element models of MAT57, MAT163 in LS-DYNA, and Low Density Foam and Crushable Foam in ABAQUS. By simulating the impact process of drop-weight and comparing with the test results, it shows that MAT163 and Crushable Foam model can predict the dynamic response and energy absorption performance better. The results verify the reliability of the dynamic constitutive model. Meanwhile, it shows that these two specific material models have good applicability in simulating the impact problem of EPS foam. Compared with aluminum alloy and other materials, fiber fabric materials have the advantages of light weight, flexible folding, etc. The fiber fabric material can be applied to the flexible inflatable protection structure deployment, thereby constructing a multilayer, large-spacing protection structure is necessary to improve the protection efficiency. Considering the protective performance of multilayer shields for different fiber fabric materials, the protective performance of multilayer shields with different materials on space debris impact was studied experimentally. The protective shields materials include basalt fiber fabric material, aramid fiber fabric material and aluminum plate. Compared with the multilayer aluminum plate shields, the multilayer fiber fabric material shields have higher anti-fragment impact effects under the impact of hypervelocity projectile. For the multilayer fiber fabric material shields, the protection effects is improved when the initial two shields are basalt fiber fabric material. The results show that the front parts of the multilayer shields adopting inorganic material with high softening point temperature may improve the break of projectile, thereby improve the impact protection performance for the protective structure. Natural fiber, replacing conventional reinforced as its various advantages, often are embedded in weaker material for reinforcing the materials. Natural fiber reinforced polymer composites are widely used in application of automotive construction, aerospace, etc. as special engineering material because of outstanding mechanical properties. In this paper, the uniaxial tension and compression tests of polymer composites filled with constant content natural fiber and other filler were examined on universal testing machine and split Hopkinson bar at different strain rates. The test results show that the mechanical properties of natural fiber reinforced polymer composite are significantly improved by additional modified nano clay and long glass fiber. The fracture surface of recovered specimen of different strain rates were observed by using scanning electron microscope (SEM), and the tensile failure characteristics was revealed. Carbon nanotube film prepared by floating catalyst chemical vapor deposition (FCCVD) method was used as interlayer toughening material for carbon fiber reinforced laminated composites. The carbon nanotube film/carbon fiber/epoxy hybrid (CNTF/CF/EP) composites were prepared by hot pressing and cut into two dimensions respectively for compression and type II fracture toughness test. It has been observed that the type II fracture toughness is improved by 60% due to the carbon nanotube interlayers. Scanning electron microscope results suggest that the bridging of matrix cracks by carbon nanotubes leads to a higher type II fracture toughness. The results of compression experiments indicate that the compressive strength in both in-plane and out-of-plane directions is enhanced to some extent under quasi-static compression due to the carbon nanotube interlayers. Moreover, the enhancement in compressive strength which is as high as 9% out-of-plane direction can be achieved under high strain rates after modifying the interlayer structures with carbon nanotubes. However, there is no increase of compressive strength during dynamic compression in in-plane direction, and the fracture morphology shows that the primary reason is due to the internal delamination of the carbon nanotube films. Titanium alloy is widely used in aerospace industry due to its excellent mechanical properties of high strength and light weight. In this paper, a quasi-static and dynamic tests of TB6 titanium alloy has been implemented with an Instron universal material testing machine and a split Hopkinson pressure bar (SHPB). Quasi-static and dynamic stress-strain curves of TB6 titanium alloy under compression, tension and shear-compression loads were obtained. Based on the data of experiment, we have established Johnson-Cook dynamic constitutive model under uniaxial compression and pure shear. The results show that, the yield stress of TB6 titanium alloy exhibits obvious tension-compression asymmetry, strain rate hardening and thermal softening effects. The von Mises yield criterion is modified by considering the asymmetric factor of tension and compression. The modified yield criterion has been proved to be accurate and suitable for predicting the quasi-static and dynamic yield behaviors of TB6 titanium alloy. The containment dome of the nuclear power plant (NPP) is the last barrier and designed with reinforced concrete in a 60° of configuration. This paper uses explicit dynamic finite element analysis software ANSYS/LS-DYNA to establish finite element model of the ordinary reinforced concrete slab and reinforced concrete slab of 60° of configuration (novel) with CONWEP explosion model. Dynamic responses of reinforced concrete slabs under close-in explosion are investigated. Base on the analysis of parameters, the effects of slab thickness, explosive charge, strength of concrete and reinforcing steel bar on the blast resistance of reinforced concrete slabs with 60° of configuration are analyzed. The central deflection, deformation and stress diagrams of ordinary and novel reinforced concrete slabs are compared, a relationship of the maximum central deflection of novel reinforced concrete slabs, the explosive charge and slab thickness, and the fitting formula are obtained and given. The results indicate that under the same explosive charge, the central deflection of novel reinforced concrete is increased by 60.22%, and the novel reinforced concrete slabs have better blast resistance, the fitting curve can preferably estimate the deflection of the novel reinforced concrete slab. For exploring the perforation mechanism of the polyurea coating composite structure, the ballistic tests in which the target was made of steel plate coated with elastomer were carried out. During the experiment, the damage modes of projectiles and targets were obtained and employed for further analysis. The pre-polyurea coating can effectively buffer the impact load between the spherical projectile and the steel target, so that the steel target is pre-deformed, the relative penetration velocity is reduced, resulting in further improving the ballistic limit of composite structure. The post-polyurea coating can deform coordinately with the steel plate and form a plug mass to absorb the kinetic energy of projectile. The results also show that the steel target with post-polyurea coating could achieve better energy absorbing at higher projectile velocity. In order to improve the bullet destruction, the design of the new type of bullet—shrapnel, which is based on the standard small bore bullet is proposed. The experiment of gelatin penetrated by shrapnel is performed to study the deformation of projectile’s head at different speed range and through the penetration depth of the projectile. The low penetration performance of the projectile is verified in this study. The results show that the degree of deformation of the projectile’s head is related to the speed, the higher the speed, the greater the warhead deformation. Warhead cracking into the "petal" can effectively reduce the bullet velocity, and increase the penetration resistance. The shrapnel does not perforate the gelatin at all the testing speeds, which proved that the projectile has good low penetration performance. A motion model of shrapnel is proposed, and the model can describe the dynamic process of shrapnel better. Based on the similar model test, we studied the peak particle vibration velocity (vp) of the crack-containing anchorage caverns under top explosion using numerical analysis method, and discussed the influence of the crack’s inclination angle and length on vp. The results show a vibration velocity-amplification effect on the crack and cavern surface of the blast side, vp of both sides and bottom of the cavern are much smaller than that of the vault. As the crack length increases, vp of the vault, arch springing and side walls of the anchoring cavern first decrease and then increase and decrease again. The existence of the crack amplifies the arch vp of the anchoring cavern except for the short-length crack condition. As the inclination angle of the crack leans to right, vp of the arch springing and the side walls become asymmetrical, vp of the right arch springing (or right side wall) is greater than that of the left side. The vp of the vault first decreases and then increases as the inclination angle increases, its minimum occurs when the inclination angle is 45°, which is 48.2% lower than that of the non-crack cavity, suggesting that the dynamic response of the structure is effectively weakened. High pressure carbon dioxide (HPCD) is a non-thermal food processing technology, which is applied to inactivate microorganisms and enzymes in food. In recent years, it has been found that HPCD can induce proteins to form gels, and the adsorption mass of HPCD has an important effect on the gel properties of proteins. In order to study the adsorption behavior of HPCD in protein, the longitudinal adsorption mass of HPCD in shrimp sruimi was measured and the influences of pressure and temperature on longitudinal adsorption mass were investigated. These results show the adsorption mass measured directly by the instrument is the longitudinal excess adsorption mass of CO2 in shrimp minced meat, which can not accurately reflect the longitudinal absolute adsorption mass. The excess adsorption mass should be corrected according to the absolute adsorption mass by the saturated adsorption phase volume when the adsorption is not saturated. Differently, the excess adsorption mass should be corrected according to the absolute adsorption mass by adsorption phase density when the adsorption is saturated. The adsorption mass of CO2 in shrimp surimi can be more accurately reflected by the absolute adsorption mass. Under isothermal conditions, with the pressure increasing, the longitudinal absolute specific adsorption of CO2 in shrimp surimi increases sharply, reaches a peak value, then decreases gradually, and then tends to be flat. Under isobaric conditions, with the increase of temperature, the longitudinal absolute specific adsorption of CO2 in shrimp surimi decreases. The maximum longitudinal absolute specific adsorption of CO2 in shrimp surimi is 45.53–111.49 cm3/g at 35–60 ℃. The results provide the basic data for the establishment of longitudinal adsorption model of HPCD in shrimp surimi and the technological reference for controlling the qualities of shrimp surimi gel. Hydrogen hydrate (H2-H2O) excited significant interest as an environmentally clean and efficient hydrogen storage material. Here we conducted a high-pressure experimental research on hydrogen hydrate combined with in-situ Raman spectroscopy and synchrotron X-ray diffraction measurements. Our results indicated that the cubic C2 phase with stoichiometry 1∶1 of H2 and H2O transformed to a new tetragonal phase C3 after packing more hydrogen molecules above 24.5 GPa. The structure of C3 was determined to be P41 with a 1∶2 ratio of H2O to H2, and could survive down to 8.6 GPa upon decompression. Two districted behaviors of guest hydrogen clusters were observed with increasing pressure. One showed blue-red frequency shift transition similarly as pure hydrogen, the other continuously blue-shifted to higher frequencies in the whole pressure range. Fermi resonance between the deformational mode and softened stretching mode was firstly detected, indicating that the hydrogen-bond was symmetrized at around 55 GPa. The complicated behaviors of hydrogen molecules and interactions with water molecules in hydrogen hydrate provided a different insight into the guest-host system under pressure. YU Cui-Ling, YU Qing-Jiang, GAO Chun-Xiao, LIU Bao, HE Chun-Yuan, HUANG Xiao-Wei, HAO Ai-Min, ZHANG Dong-Mei, CUI Xiao-Yan, LIU Cai-Long, et al.